On the 20th February, Sony started the race for your next-gen wallet by announcing the Playstation 4 at an event in New York. There was a lot of apprehension surrounding the announcement, with their Playstation 3 announcement 7 years ago garnering a lot of negative press for the high price and general level of arrogance they showed coming off of the success of PS2. In the first part of this article series I will look at the hardware and tech side of the announcement. The fact that we have this much to talk about is already a big deal. The assumption amongst a lot of media outlets was that this would be a very short presentation providing more of a flavour of what they are aiming for. Instead we got a 2 hour torrent of remarkably detailed information about what will be lurking at the heart of Sony’s next powerhouse. Mark Cerny, long time industry figure of Crash Bandicoot and Jak and Daxter fame, was put forward as the chief architect of the new system, and did a stellar job of explaining what potentially could have been a very dry opening for Sony. Surprisingly detailed specifications came very quickly, with the system is sporting a 8-core x86-64 CPU, an “enhanced” PC GPU, and 8Gb of GDDR5 RAM. Sony very quickly put memories of the Cell processor behind them. This was a very important thing for Sony to do, reinforce at every opportunity how easy the new system will be to develop for. With an architecture familiar to all developers, as well as a very healthy amount of RAM, this counters two of the biggest complains about the Playstation 3. This will make multi platform on the PS4 a much better proposition, with the hardware being similar enough to both PCs and the next Xbox, if the rumours of those system specs are to be believed. The hardware appears to match the message they continually brought up during the presentation, that this hardware was designed with input from developers in mind. Another hardware hit came with the production of the much rumoured new controller from a jacket. 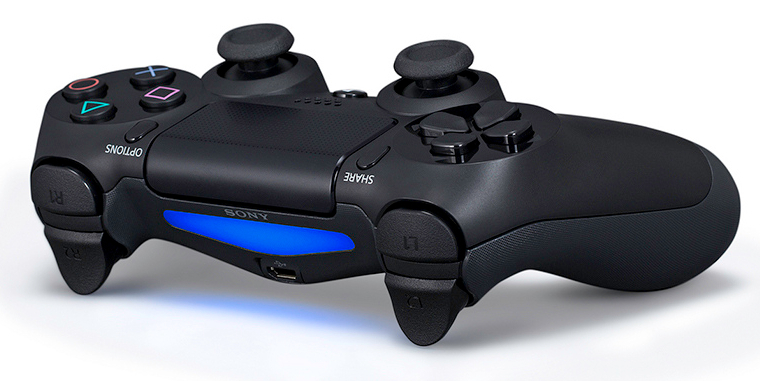 The Dualshock 4 is very much an aesthetic sibling to its predecessors, but with a few new mutations. The rumour of a Vita style touchpad in the center was indeed true, although no use cases for this new tech was shown. 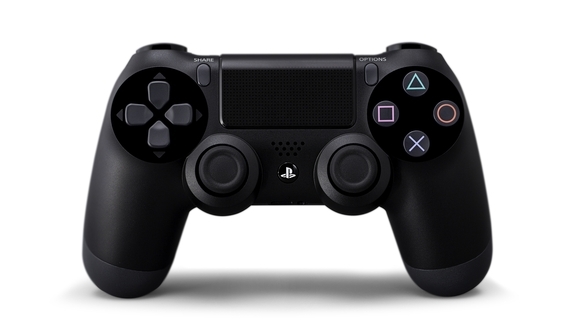 The controller will also interact with a new stereo camera equipped Playstation Eye with the “light bar” at the top of the controller, with the interesting promise that it can be used to “identify players”. One of the big rumours from the new console was the featuring of a “share” button, generating mixed reactions from the internet. The implementation of the idea appears to be a lot more fully rounded than anyone expected. The system will keep a 15 minute buffer of all gameplay, ready to be submitted to your social network of choice. Last year Sony purchased Gaikai, the Dave Perry headed game streaming technology company, and then went silent. This provoked much murmuring that the technology would be featured in the new console, and with the price that Sony paid for them when they were really strapped for cash, it was thought that it would be core to the system. So when Perry walked on stage to host a section of this very high-profile conference and showed just how integral it is. 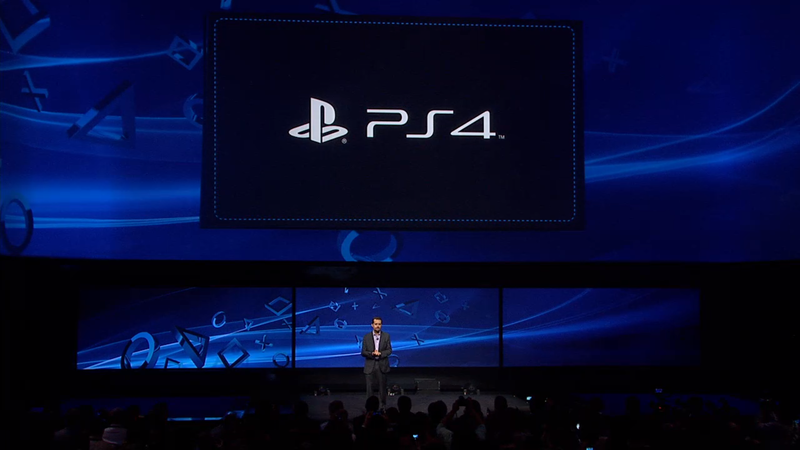 Gakai technology appears to be being used in a number of ways in the Playstation 4. The first being the use that Gakai themselves were pushing, the ability to “demo” games without having to download them by running content remotely and streaming video to the device. Sony are also partnering with USTREAM to provide users the (as a prediction, I am assuming that Microsoft have snapped up Twitch.tv, the much more obvious choice). Perry also talked about games providing a “director” mode to go hand in hand with the streaming, which based on descriptions appears to be essentially a glorified “spectator” mode designed to be streamed by a commentator. This again shows a Sony much more tuned into the way the hobby and its users are consuming games, with them attempting to get in front of the newly emerging broadcasting and commentator crowd by giving the tools to everyone rather than just those with complicated and expensive capturing hardware. The purchase of Gaikai made even more sense when Perry talking about Remote Play, Sony’s second crack at streaming the content from their console to their handheld. This feature was touted back in the days of the Playstation 3 and the PSP, but was never really used outside of a handful of first party games and was technically spotty with lag and response time crippling what was otherwise a promising feature. Sony are hoping with the arrival of Gaikai technology this will give developers another push to use it. With Nintendo basing an entire console around the concept of having a second screen, Sony dropping Remote Play and Vita interaction in their conference as a side note seemed almost like a direct dig at the Wii U. Sony could also take this one step further and provide the ability for developers to use the Vita as a controller with extra features on the touch screen, and the entire Wii U becomes a bullet point in the overall Playstation 4 package. You will be able to put the console into “sleep mode”, putting the console into a standby state and saving the current game to memory, ready to be started where you left off at the touch of a button. Next time, we will talk about the surprising number of games that were shown at the conference.